I didn't yell at my kids for a whole year! I finally hit ONE YEAR without yelling. 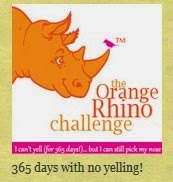 I started The Orange Rhino Challenge back in July 2013, so it obviously took quite a few months for me to break the habit, but I did it! And if I can, you can. I'm not kidding. This was absolutely impossible for me to do, but somehow I sure did. 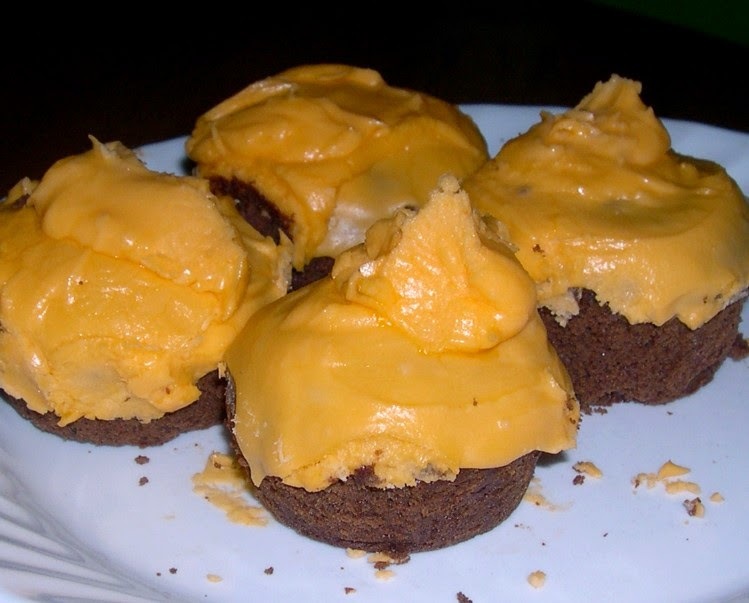 These lovely orange cupcakes are proof! :) Lizzy made them for our celebration. Don't think you can? You're wrong. :) I was too. Check out TheOrangeRhino.com for lots of help and ideas. Still don't think you can? Sorry, my success invalidates your argument. :) What if you only make one week or even one day? Well, then you've gone a whole week or a whole day without yelling. I'd call that a win! Was it easy? Nooooo. It's still not easy one year later. I have to constantly concentrate on my responses and really focus on not yelling. It stinks, but it's a deeply ingrained habit. But once you realize that, it gets easier. Easier, not easy, but it's certainly worth it! I don't wear my orange bracelet anymore, but that helped a lot in the beginning. Seeing a constant reminder all day. And of course announcing it to the world helped. There's nothing like public humiliation to motivate the soul. But finally, my counter shows that it worked. Will I ever yell at my (lovely) kids again? Who knows? But it won't be out of habit anymore if I do! Along the way I learned they don't listen anyway, so it's not effective. Also, whispering can be very scary. This year I'm going to focus on BEING NICE. Even though I didn't yell, I could be pretty hurtful sometimes. Okay, many times. So I'm working on that. Update 11/28: I yelled. :/ So 370 days is my longest streak. But at least it wasn't out of habit. It was out of 2 days of way too much sugar for all of us and yelling is better than killing, so we'll start again tomorrow. Way to go! I am very encouraged and I have been watching myself lately to see if this is a problem for me. Next I need to confess to my family so they can hold me accountable. Thanks for paving the way.